When you were born, it’s likely that your first interaction with the world was a cry. And, throughout your infanthood, childhood and teenage years, it’s probable that you shed many a tear. So, when was the last time you cried as an adult? What provoked your tears? And, did your crying serve a purpose? Are there times, however, when crying out loud is justified? And, are there times when crying serves or helps to serve a positive individual or group purpose? What about the battle cry? Some may argue that battle cries are more show than substance, but surely some movements for good have been aided with an inspiring call for action. And, consider sports. Think about the individual athletes who seem to be aided in their efforts through the release of cries. Have you ever heard Venus and Serena Williams grunting as they play a point during a doubles tennis match? Watch and listen to this example. And, have you ever seen and heard a heavyweight lifter lifting hundreds of pounds? There is also a great deal of screaming in martial arts. Some explanations are that yelling helps to make martial arts techniques more accurate, allowing the martial artist increased focus for kicks, strikes, punches, etc. 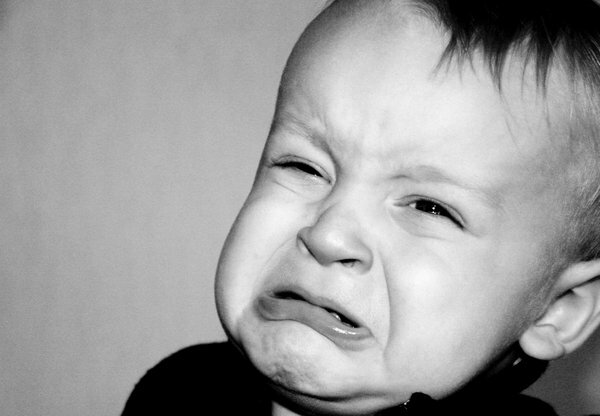 When it comes to sports, fans may be the biggest examples of crybabies. Actively yelling to cheer on one’s favorite athlete or team has got to make a positive difference, right? Crying seems to have a sad and negative associated connotation. I’d love to hear your examples of instances where crying has been a good thing.